Huge Savings Item! 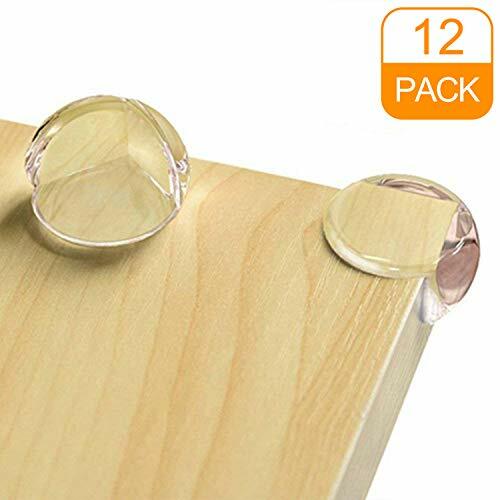 Save 12% on the Corner Protector, Baby Proofing Corner Guards, Keep Child Safe, Protectors for Furniture Against Sharp Corners (12 Pack) by CalMyotis by CalMyotis at Defy Now. MPN: FZJ001. Hurry! Limited time offer. Offer valid only while supplies last. ❤AUTHENTIC CERTIFIED SAFETY PRODUCT. This product should be used under adult's supervision, all our products are tested under strict US regulations. There are no phthalates, BPA, chemicals or added toxic fire retardants (SCCPs). ❤SPECIAL DESIGN AND 1 MINUTE INSTALLATION. Our protectors are designed by Mechanics expert to protect your baby from being hurt by the corners of coffee table,desk,TV cabinets and other sharp corners in the house. And under our instructions, you can easily finish the installation. ❤ADVANCED HIGH-POWER ADHESIVE. We use the customized and overall designed High-Power Tape on each side of the corner protector to give you the awesome coverage. ❤TRANSPARENT AND CLEAN. Our protectors are totally Transparent to keep the original look and feel of your furnitures. ❤100% MONEY BACK WARRANTY. We offer 100% satisfaction guarantee to customers. If you are not satisfied with our corner protectors, we will give you the full refund. If you have any questions about this product by CalMyotis, contact us by completing and submitting the form below. If you are looking for a specif part number, please include it with your message.